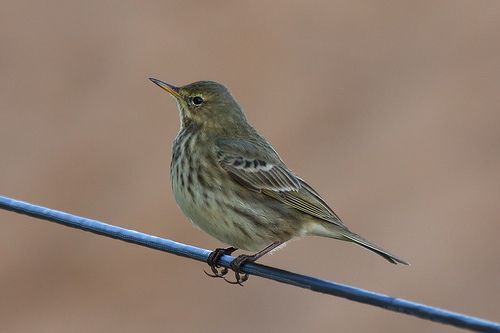 The Rock Pipit looks like the Water Pipit, and it is difficult to distinguish the two species. 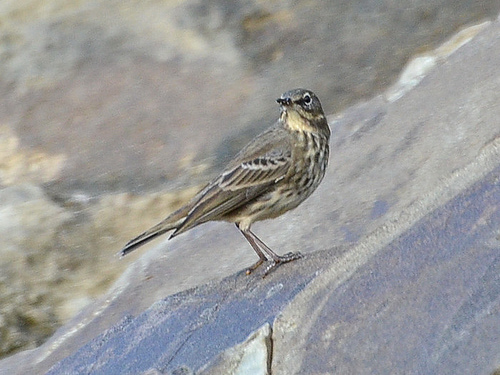 The Rock Pipit you will usually find along the coast, while the Water Pipit is more often seen near rivers or lakes. The outer tail feathers of the Rock Pipit are grey, not white like those of the Water Pipit.